5 Best Drones for Fishing 2017, Take it to the Next Level! Well who knew drones could be useful when it comes to fishing! Using the proper setup, you could now take this sport to the next level. That’s why I will show you today what are the 5 best drones for fishing in 2017, taking into consideration different factors like wind speed limit, battery and load. I didn’t know about drone fishing until last year. Myself and a friend of mine who’s a pro fisherman decided to give it a try after we saw a video of 2 guys fishing tuna with the help of their drone, and that was it, we were hooked! 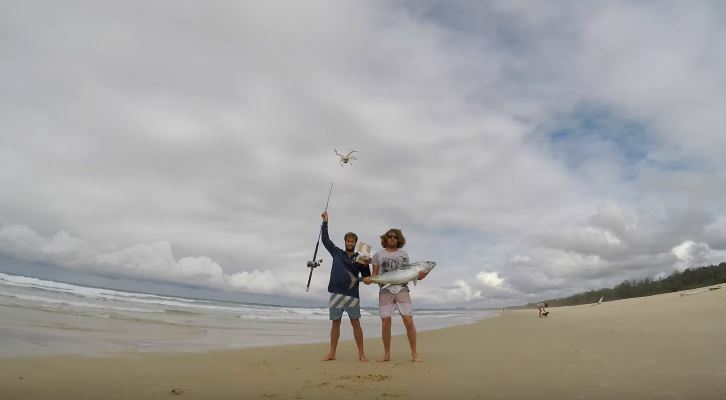 Learning how to fish with a drone can be tricky, but with practice, everything can be achievable. I already had the DJI phantom 3 and my friend had good fishing skills so we decided to give it a try and we succeeded! 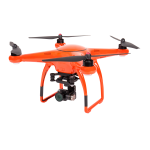 Now in order to find the perfect drone for fishing, many factors will need to be taken into consideration. 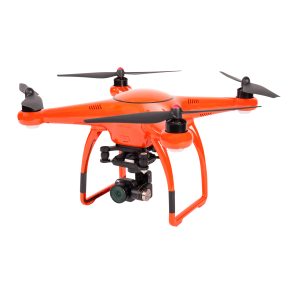 Let me go through these 5 drones that in my opinion are the most ideal for this job. 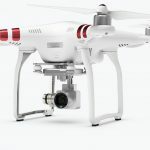 DJI is one of the most reliable brands when it comes to drones. It’s quality, durability and functionalities are simply the best in the market. And the Phantom 3 is well know for the high quality and awesome features. It’s easy to fly and very stable while in the air and can resist sea winds, It has a built-in GPS for more accuracy when flying over the water and has the smart return to home feature to avoid the drone falling in the water when battery levels go down. It has a range of 1000 meters which is enough distance from the beach to drop the bait. What’s more awesome is the auto-take off and auto-land features ( can be useful sometimes, but up to the user if he wishes to use these or not). The Phantom 3 has a solid landing gear that is needed to attach the fishing line and that makes it a good candidate. A 12 megapixels sensor and 2.7k video quality for a clear aerial view over the sea. The controller requires a smartphone or tablet that will be used as a video monitor. The Phantom 3 price is very reasonable/cheap for a drone with this quality and features. 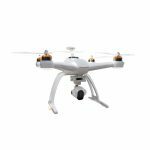 The Autel Robotics X-Star Premium may not be as famous as the DJI Phantom 3 Standard but it’s a good competitor. Some of its specs are even better than the Phantom. It’s a bit heavier so can have a stronger resistance to wind which makes more stable and robust. It has a pretty accurate built-in GPS that can be very useful during flying. The controller uses 5.8GHz frequency which boosts the wireless range to 2km (2000meters), maybe not really needed for fishing, but useful for other activities. The Autel Robotics X-Star Premium landing gear looks very similar to the one on the Phantom 3 standard, actually both drones designs look a bit similar. That makes it suitable to attach the fishing line that will be used for the downrigger release clip. It can also take a weight load of 2.2 pounds, more than that is not really useful for fishing unless you want to fish only with drone. Video quality is very high here, we’re talking about 4k resolution at 30 fps, smooth video helps a lot during fishing as the better the video is, the better you see in detail in the water. The Autel Robotics also comes with really nice modes, such as smart return to home with programmable height, orbit mode and intelligent orientation control, follow and waypoint modes. 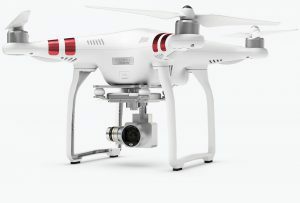 Because of its specifications, it comes at a price higher than the Phantom 3. 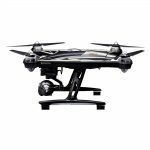 The Yuneec q500 is another good quality drone. With a 12 megapixels sensor delivering 4k Ultra HD videos. It can capture impressive slow motion videos (1080p at 120 fps) with manual settings that allows total flexibility control. It has an included feature called SteadygGrip that allows stable ground shots with incredible detail. It has a 5.8 GHz controller with embedded touchscreen which means a faster setup and without the need to use your mobile or tablet to watch the live video. Wireless range is around 800 m, which is less than both Phantom 3 and Autel Robotics. The landing gear design is different of that of the Phantom 3 and Autel Robotics, however, it can work really well with the fishing line. We can attach the line using the 2 centre points of the landing gear. Flight time is similar to the other 2 drones, it will fly around 25 minutes. This drone comes with a slower flight speed (up to 8m/s), maybe not the most important option for fishing, but it’s something I look for when buying a drone. It comes at price range similar to the Autel Robotics X-star. The Blade Chroma 4K is very similar to the Yuneec q500 but not from a design perspective. It shares the same controller that has an embedded 5.5 inch LCD touchscreen for people who don’t like to use their phones or tablets. It also has the same 4K video quality. However, it’s smaller than the Yuneec q500, its size is pretty close to the Phantom 3 Pro. You would have noticed that the flight time for this drone is 30 minutes which is the longest compared to the previous drones I mentioned earlier, this is due to the bigger and more powerful battery the Blade Chroma has (11V 5400mAh). Max speed is 17.9 m/s which makes it the fastest compared to the previous drones. The landing gear design is suitable for attaching a fishing line and can support a load of around 1.3-1.5 pounds which is initially the bait, line and release clip. The only downside of this drone is the flying range, it’s only 400m (1312 ft) whereas the others can fly between 800 and 1000 meters. The 3DR Solo drone is different than all the previous drones I talked about. This one has no camera attached to it so you need to bring your own GoPro. There are two aspects here (one positive and one negative) for not having a built-in camera. The positive is that you’re not forced to use the same camera with your drone. The negative is that if you don’t already have a GoPro, you would need to spend extra money to buy one. 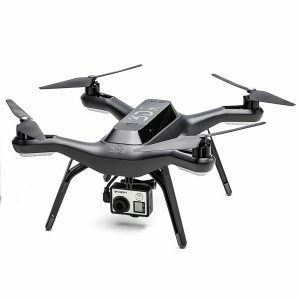 The 3DR Solo has worked with GoPro to build a custom drone integration for the camera. Once you plug it in, you can control all settings from the controller. For now, it’s compatible with GoPro Hero3/3+/4. This drone has a max speed of 24.6 m/s, way faster than the other drones like DJI, Autel and Yuneec. It can move the bait really quick which makes you gain more time per flight. It’s also heavier and has more stability while in the air. 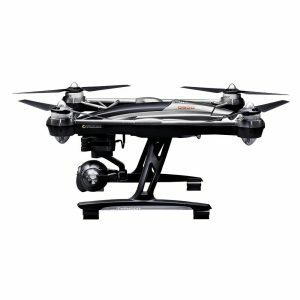 It has a strong landing gear with four legs where we can attached the fishing lines to, and that makes it a top candidate for drone fishing. The controller uses your phone to control the drone. It has lots of autonomous modes like Orbit, Selfie and Follow which helps you get better aerial shots and view. It can easily handle the load of the bait and release clip so this is something not to worry about. I provided information on how to use a GoPro on a drone here.